This is it! 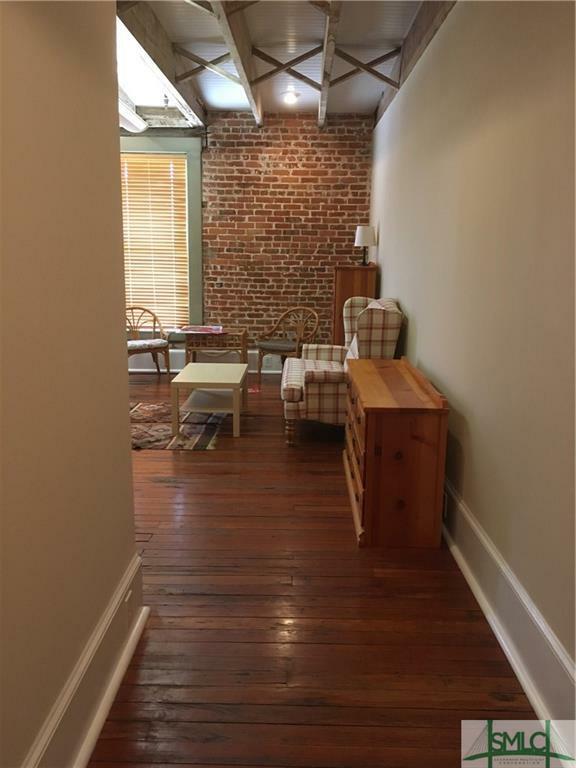 An historic Savannah property with hardwood floors, brick walls, high ceilings, exposed beams. 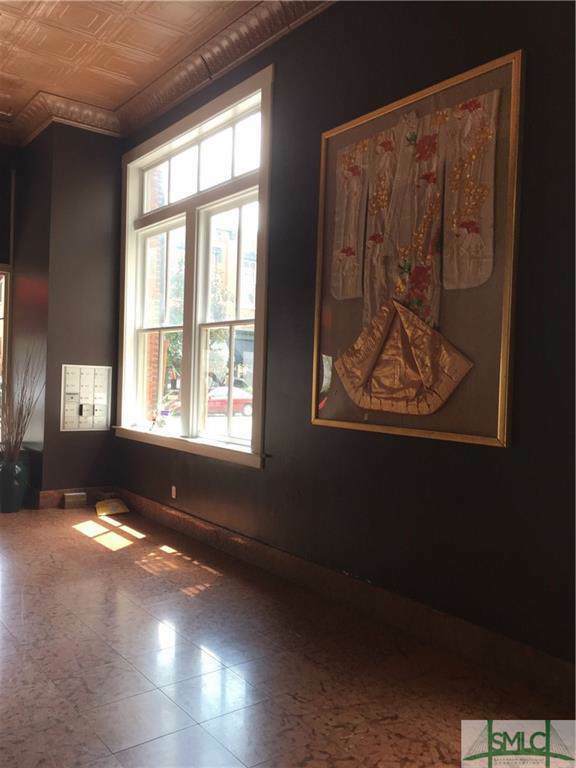 Elevator to the top floor unit that has panoramic views of the bridge and downtown from 7 windows. Zoned BC1, so can be used for office space, or residential. Galley kitchen, washer/dryer, 2 bedrooms and 1 bath, plus a nice living room. Dedicated high speed fiber optic internet line . Great location, secure building. Professionals, business owners-occupants, students. 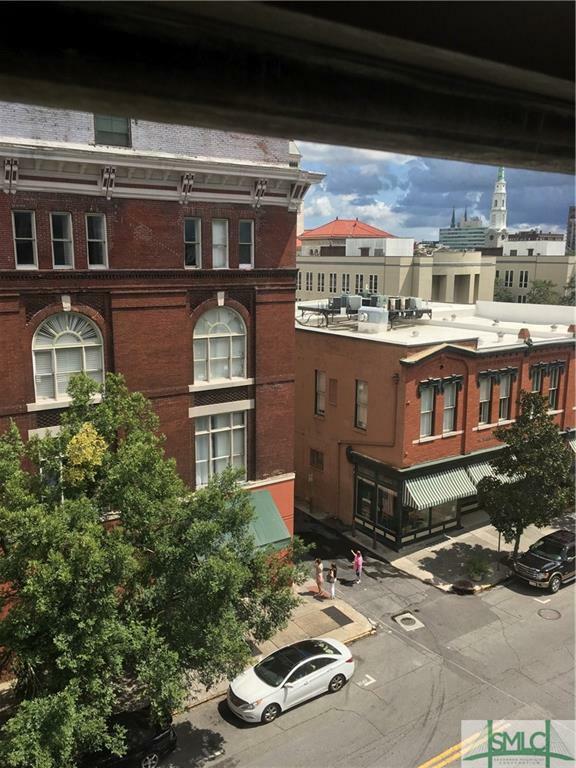 Monthly parking garage by the Telfair Museum which is on the square behind the building. For investors: Rentals must be for 1 year, no VBRO. at this time. although a vote is pending. 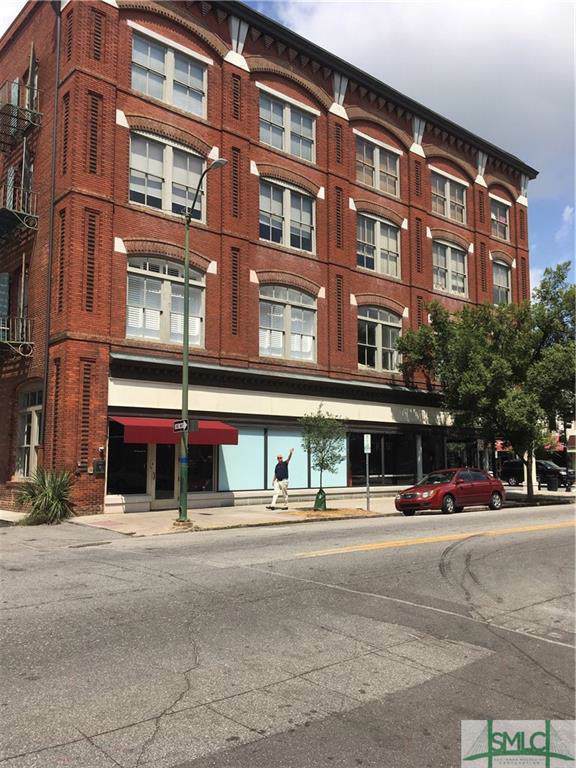 Exterior brick repointed this Spring.. Great time to make your downtown Savannah dream a reality!